This easy 2-Ingredient Weight Watchers Pineapple Angel Food Cake stirs together in minutes. All you need is a box of angel food cake mix and can of crushed pineapple to create a moist and delicious low calorie cake everyone will love. 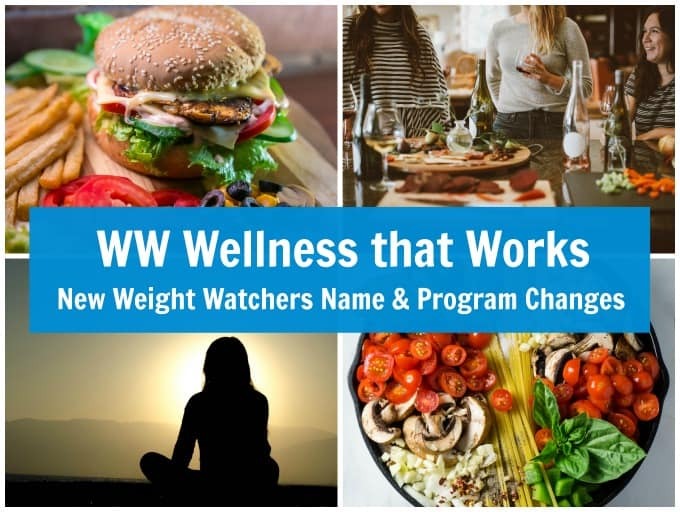 It’s nice to have a few simple recipes like this Weight Watchers pineapple angel food cake on hand when you need a quick and easy dessert that requires minimal effort. With only 2 ingredients – a box of angel food cake mix and can of crushed pineapple – it stirs together in minutes. How Many SmartPoints in this WW Pineapple Angel Food Cake Recipe? According to my calculations each serving has 148 calories and 4* Weight Watchers Points Plus. This has increased to 7* SmartPoints, a relative bargain on the new WW Freestyle Program. And you’ll want a 20-ounce can of crushed pineapple in juice (not heavy syrup). I’ve only ever made it in a 9×13-inch pan. I’ve read elsewhere that you can also use a tube pan or cupcake pan, but I’ve never tried it. One reader tried cupcakes and left a comment that it didn’t work. So, I’d suggest sticking with a 9×13-pan unless you are feeling adventurous and willing to take a risk. 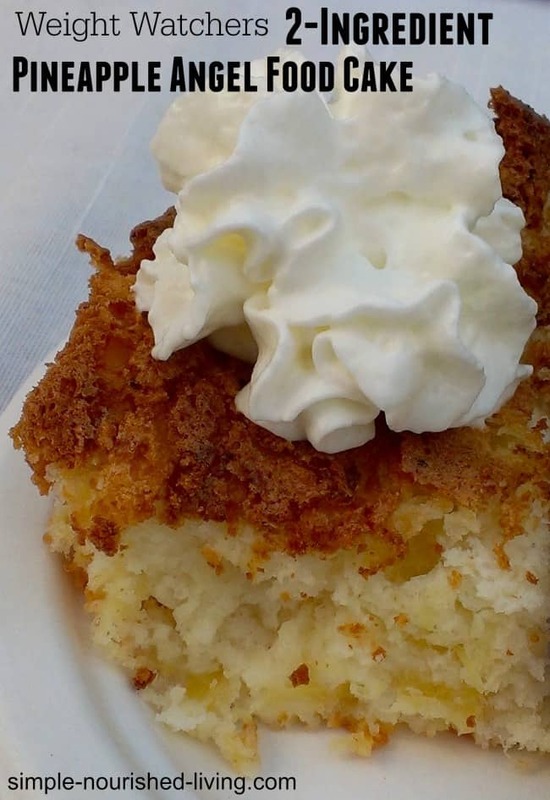 In the AllRecipes video below, they add 1/2 cup shredded coconut and 1/2 teaspoon rum extract to the batter for a tropical twist, a variation I intend to try next time I make this easy, delicious, satisfying cake. And a little dollop of light whipped cream or topping never hurts. Enjoy! If you’ve made this 2-Ingredient Pineapple Cake, please give the recipe a star rating below and leave a comment letting me know how you liked it. Delicious desserts don't get much lighter or simpler than this easy 2-ingredient Weight Watchers Pineapple Angel Food Cake. Pour the batter into a 9x13 pan which has been lightly greased with nonstick cooking spray. Bake at 350F degrees for time specified on the box for size pan. When the sides pull away from pan and toothpick inserted in the center comes out clean, the cake is done. This should take somewhere between 30 and 40 minutes. 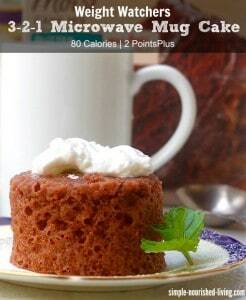 Weight Watchers 3-2-1 Microwave Mug Cake, another quick and easy sweet treat with less than 100 calories! I love that on the Weight Watchers Program it’s possible to enjoy the occasional sweet, provided you plan for it!! Easy, light and delicious! A longstanding “go-to” WW recipe for a reason! I made this for my bible study group and they all really liked it. I added half a cup of flaked cocoanut and half a teaspoon of rum extract. Baked in a 9×13 lightly sprayed pan at 350 deg. Topped with extra creamy cool whip when served. Yummy.